We are talking about a super cheesy dough here! 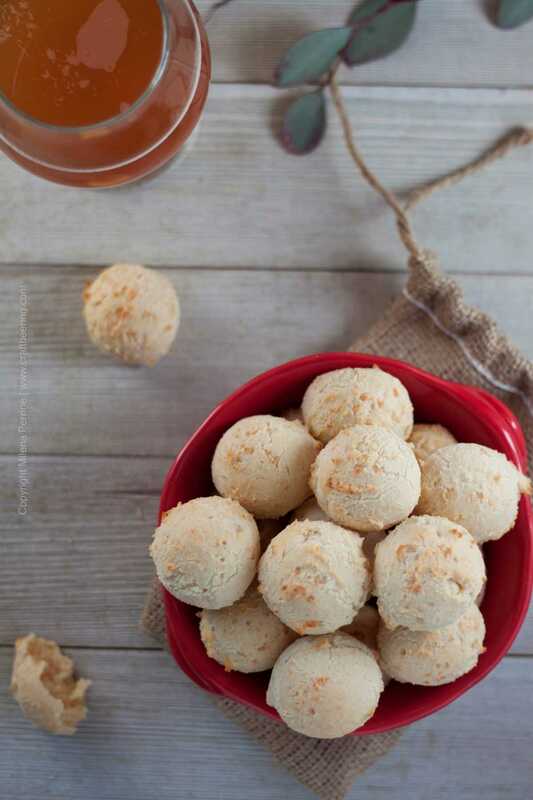 This craft beer snack is quite literally a cheese bread – Pão de Queijo in Portuguese translates as ‘bread of cheese’, and a popular street food snack and breakfast item in Brazil. There is something else interesting. Not only is the dough made with as much cheese as flour, the flour is derived from cassava root (aka manioca, yuca, tapioca). 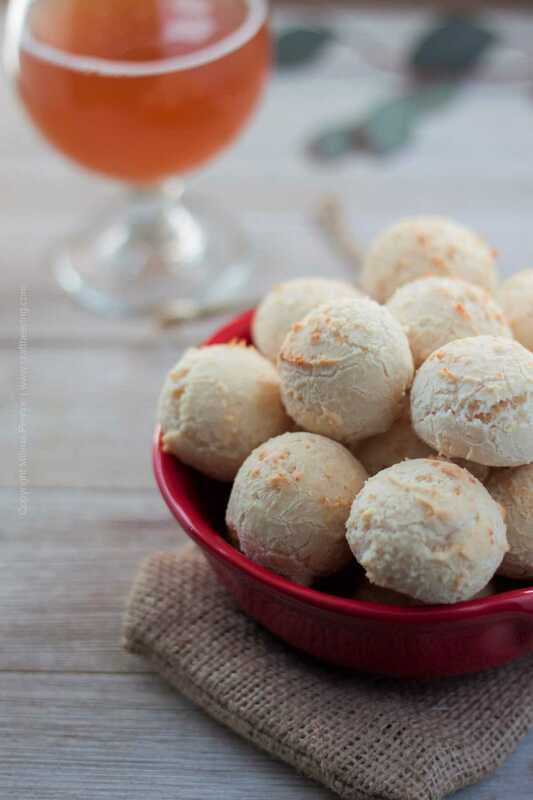 It is a totally gluten free snack…which is of little consequence if Pão de Queijo is consumed with well crafted beer. Unless of course it is a well crafted gluten free beer, but in this post I will not be getting into this discussion. All I want you to do my friends is to please, please try these decadent, cheesy, bread puffs and indulge. You owe it to yourself. Beer fan or not. 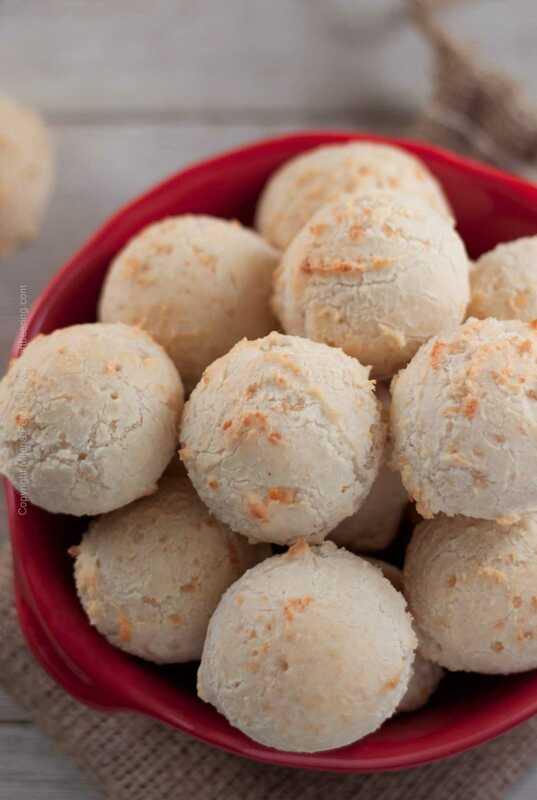 And know this – it is very hard to make bad Pão de Queijo once you have a recipe to follow. You would have to purposefully be doing everything wrong. Well, I will not exactly be presenting you with several pages of history… Suffice to say that I first tried cheese bread years ago while living in Germany with a Brazilian roommate (one of four international roommates). That summer I learned that I cannot hold more than one properly made Caipiriña (or as soon as I would try to stand up I would have to sit back down, true story), several expressions in Portuguese and that Pão de Queijo is just as good to have with German beer as is bratwurst. The cassava root was a common staple among the native population of today’s Brazil. Beer (well, it was a fermented drink that was made primarily for nourishment, not as a beverage of leisure) made with cassava fell under the chicha category. This name applied to all native beer in South America. The fermentation of chicha is triggered by saliva, after the processed root is chewed and spat out (intriguing, isn’t it). A History of Beer and Brewing by Ian S Hornsey, a fascinating read in my geeky opinion, explains exactly how the very first ‘beers’ of Brazil were made, but I will stop here, having established the common link between Pão de Queijo and beer. Cassava flour, which is extremely starchy, is created by peeling, grating, soaking and drying the cassava root. It can then be used in a variety of recipes. I have made Pão de Queijo using tapioca flour as well (tapioca=starch derived from the cassava root), but it is much harder to digest. Additionally, I have always had better results using the cassava flour, so I recommend that you seek it out instead of simply substituting with tapioca. I order this brand to always have on hand (my son adores Brazilian cheese bread puffs). 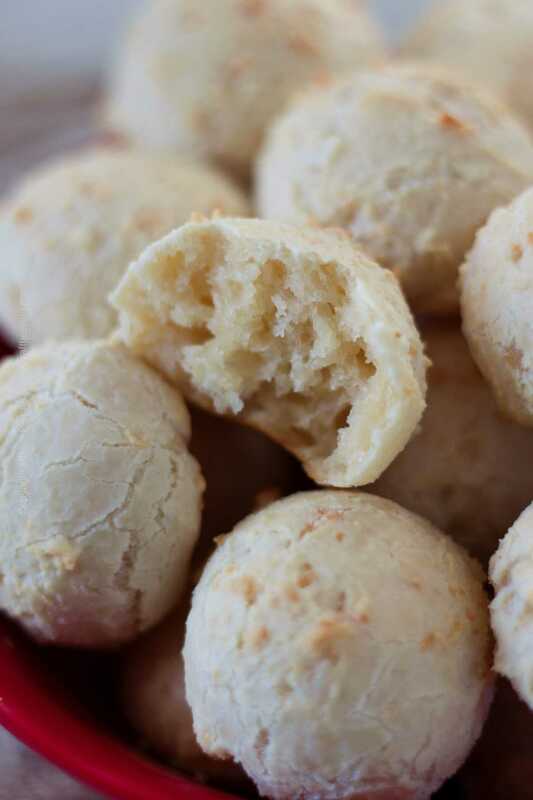 As I mentioned earlier, Pão de Queijo are not hard to make as long as you follow the recipe. You do however want to use a stand up mixer or you will get an arm workout like you have never had before. The high starch content of cassava flour makes stirring the dough by hand really hard. It is even harder if using tapioca flour. When baking the cheesy bread balls, remember to turn down the oven as soon as you put them in! In less than half an hour you will take out golden craft beer snack balls that will look just like bread puffs. Very crispy on the outside and nicely cheesy chewy but airy inside. You will not notice that you have eaten five until you start counting how many remain. They are addictive. Cheese everywhere. This craft beer snack does not last. People tend to keep eating the cheese breads until there are none left. Just in case though, I need to disclose that they taste waaay better fresh out of the oven. Leave them out overnight and you will be seeking the magic of their fresh, warm crustiness/chewiness in vain. Don’t make too many even though I know how tempting it can be to mix a double batch:). I have adopted the following strategy. When making a full batch of dough for only us at home (it yields just over two dozen) I bake one sheet of them and freeze the other one. That way I achieve portion control, we don’t over eat and in a few days we can always pop the frozen ones in the oven and enjoy them without having to do the prep work. I so hope that you try this craft beer snack!!! These little cheesy balls are simply addictive. Even though they are gluten free, they make a perfect partner for craft beer. 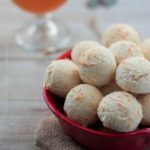 From pilsners and dunkels to amber ales and Belgian triples, Pão de Queijo is a must try pairing snack. Pour the milk and coconut oil into a pan and bring to boil. Remove from the stove and add the salt. While constantly stirring add the cassava flour. Transfer the resulting mixture to the bowl of a stand up mixer fitted with the paddle attachment. The mixture will be chunky and somewhat gelatinous. Turn on the oven to 450°F. Let the dough mixture cool a little bit and turn on the mixer on low, then increase to medium low speed. With the mixer still working, slowly add the beaten eggs. Follow by adding the cheese, a few tablespoons at a time, until all of it is incorporated. The result will be a sticky and soft dough. 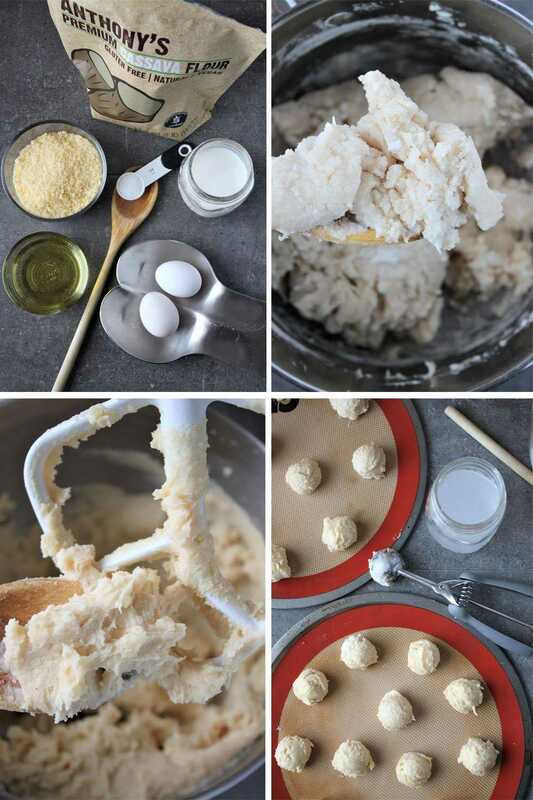 Use an ice cream scoop dipped in hot water to scoop out and shape little balls. Place on a silpat or parchment paper lined baking sheet. Put inside the preheated oven and immediately after closing the door turn the heat down to 350°F. Set your timer for 20 mins and check on the Pão de Queijo at that time. You may need an extra 5 to 10 minutes of baking for them to begin to turn golden. I just pinned your fabulous appetizer! Thanks so much for sharing your awesome recipe with us at Full Plate Thursday. Hope you are having a great day and come back to see us real soon! I am definitely going to try making these cheese bread pops! 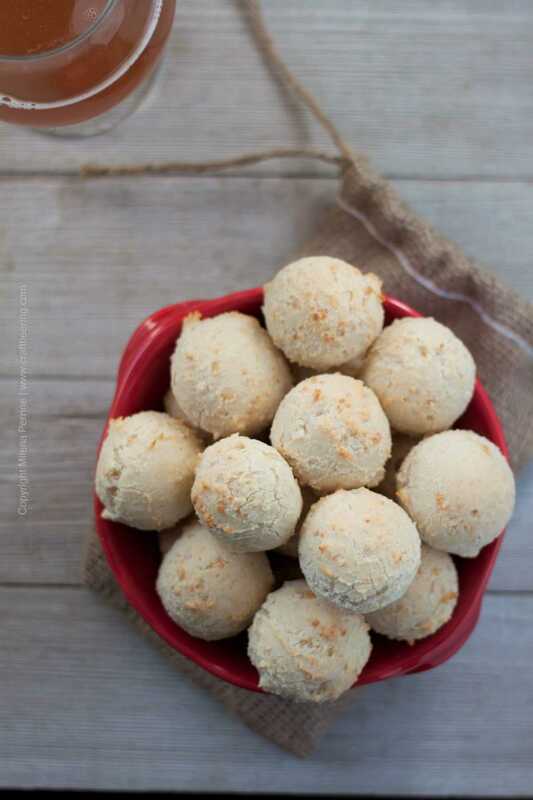 I’ve been wanting to make pajo de queijo for some time but never looked for a recipe. Now I pinned yours in my To Try board 🙂 . I can just imagine how good they are to snack on with a beer 🙂 .